Holidays to Ionian Islands up to -70% off To take advantage of these offers, join now for free! Enjoy luxury Ionian island holidays and experience the unique Mediterranean beauty of this stunning archipelago. While being part of Greece, the Islands have their own unique cultural identity due to their landscape, cuisine and history. In the early 13th century, the Republic of Venice controlled Corfu. From there they slowly brought all the Ionian Islands under their rule. In later centuries they were ruled by the French and then the British, finally becoming part of Greece in 1862. It is this mix of foreign influence that gives the islands such unique character. The locals are hospitable and welcoming to tourists, making for a pleasant place to visit. The landscape is diverse and offers something for everyone: impressive mountain ranges, dense pine forests, and relaxing beaches. Some of the islands are known for their relaxing atmosphere making them the perfect place to rest and recover. Others are famous for their nightlife and provide the perfect backdrop for a holiday of partying. Then there are those for the more adventurous, offering exciting activities to give you an adrenaline rush. 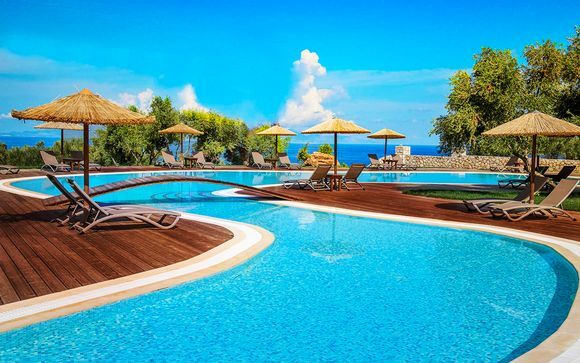 There is an Ionian Island that can cater to your every desire. The six main islands of the archipelago each offer a different experience. Simply decide which one is right for you or take a tour of them all. Located at the Northern tip of the Islands, Paxos is the hidden gem of the Ionian. Known for its relaxed, laid-back atmosphere and with fewer visitors than neighbouring Corfu, Paxos is the ideal spot for sun seekers looking to relax and enjoy the numerous pristine beaches on the coast. The island features the Castle of Ai Nikolas built in 1423. Leonardo De Vinci drew up the plans for its restoration, which took place in 1510, so be sure not to miss it. With just three main villages, Paxos is perfect for couples looking for a romantic destination to explore. 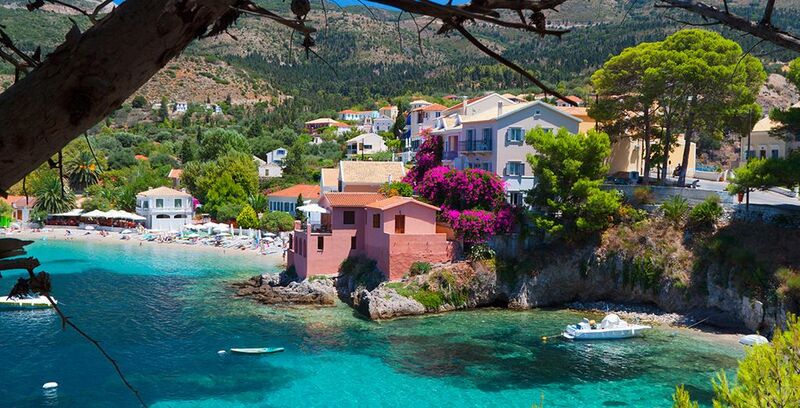 By contrast, Cephalonia (Kefalonia in Greek) is the largest of the Ionian islands. With its vast mountain ranges, pine forests, blue seas and white beaches, Cephalonia also boasts the most dramatic landscape of the Ionian and it's not hard to see why the island has inspired so many world-famous books and films. While the south of the island features magnificent sandy beaches and traditional Mediterranean villages, a trip to Cephalonia is not complete without a visit to the north as well. Just a short drive through dusty pine forests and mellow olive groves will take you to the glamorous north, complete with sophisticated Venetian-style villas and waterfront cafes - the perfect place to moor a yacht for a few hours and enjoy the sunshine. Zakynthos, situated in the middle of the Ionian island chain, is perfect for Ionian island holiday makers looking for a more active break. Adventurous types can enjoy scuba diving amongst the island's famous underwater caves, or perhaps a spot of wind sailing in the warm, sapphire sea. Alternatively, you might prefer to spend the day swimming with the endangered Loggerhead sea turtles that call the island their home. The perfect way to round off a day exploring Zakynthos' secluded coves and verdant hills is with a luxurious cocktail at one the island's lively bars and restaurants. 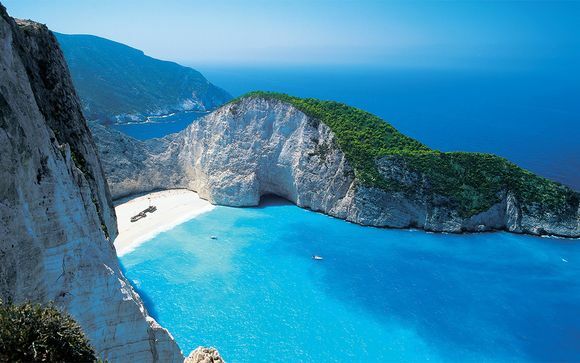 With so much to see and do, it's easy to see why Zakynthos is one of the most popular locations in the Mediterranean. 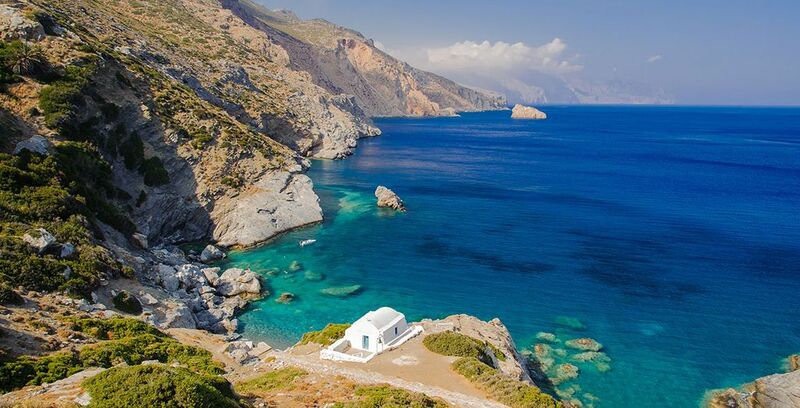 Ithaca was the inspiration behind Homer’s Odyssey and hosts a medieval settlement built into a mountain ridge. 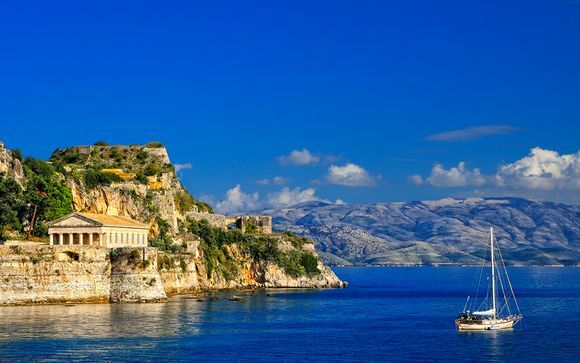 Corfu is the perfect place for a bit of island hopping as it is closely surrounded by many islets, including Sidari, which is famous for its beach love canal. The town of Corfu is also a must visit with its winding alleyways and architecture from its former Venetian, French, and British rulers. Lefkas contains one of the Ionian Islands' largest yachting centres. Two of the most impressive monuments include its breathtaking lighthouse and the Faneromeni monastery. This impressive fortress built by the Venetians successfully defended itself from three attempted sieges, carried out by the Ottomans. It eventually fell to the French under Napoleon’s rule. The fortress is connected to the rest of the town by an iron bridge and outside stands a marble statue of the general who led the last successful siege defence, Von Schulenberg. The island is uninhabited apart from the sea turtles. Enjoy a boat cruise around the island and go snorkelling through underwater caves in search of more sea turtles. 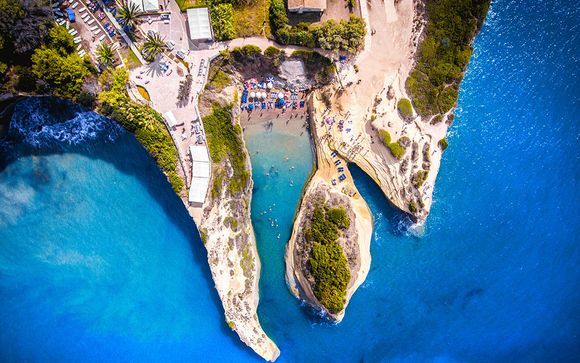 This beach is nestled behind a large cliff and has a warm strip of sand where you can enjoy local food and drink while watching the sea lap against the shore. Climb to the top of the cliff to get a perfect view of the sunset. Visit these stunning waterfalls to witness the best that nature has to offer. Surrounded by greenery these waterfalls cascade off the top of Lefkas’ many mountains and provide crystal clear water for swimming. 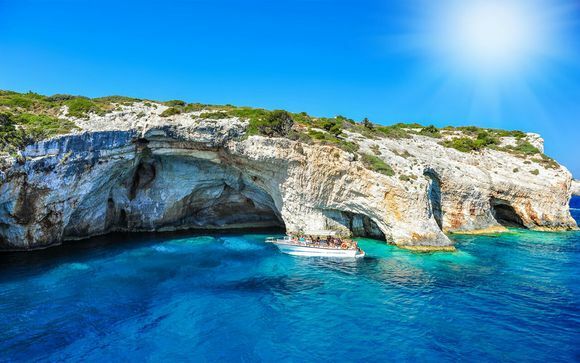 Take a boat trip from the east coast of Paxos and go snorkelling to discover colourful reefs, underwater caves, and a variety of exotic fish. This hotel is a 5-star resortwith beautiful waterfront scenery. 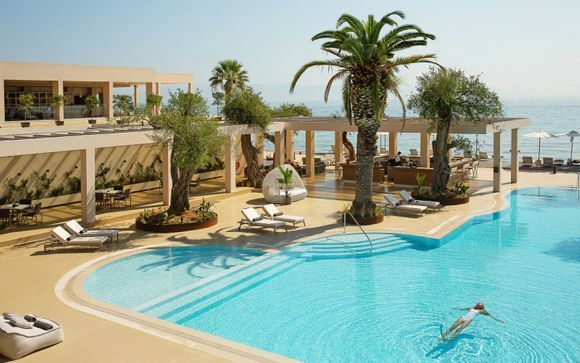 It has its own private beach and 100-year-old olive tree garden. The resort contains its own spa and offers yoga classes and massages. The rooms are spacious and luxurious. It offers great food and drinks including a sushi bar and its famous Blue bar. 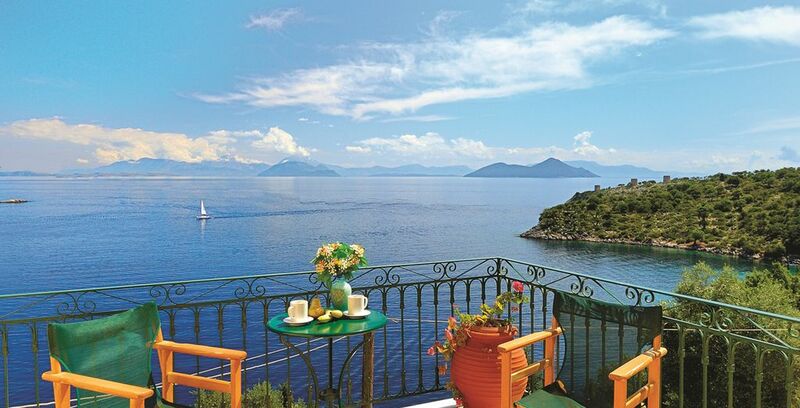 This hotel is situated in a small town, Acharavi, 37km away from Corfu town. This resort provides a tranquil and relaxed atmosphere. Its restaurant menu is a la carte and offers a wide range of Mediterranean dishes for you to sample. It has a private swimming pool and the beach is just 600m away. 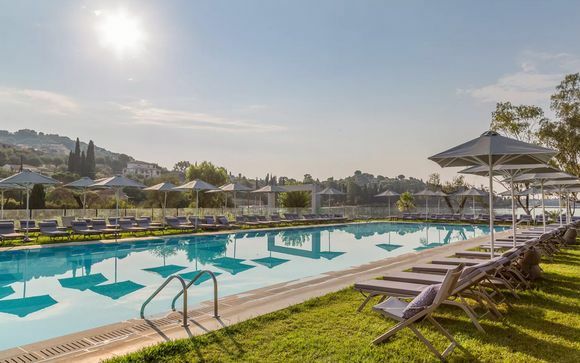 This hotel is a modern villa opened in May 2018. The villa offers a wide range of services and activities for its guests. There are two swimming pools, a restaurant, and three bars. Further sports and entertainment are provided in the form of tennis and basketball courts, video games, table tennis, and pool tables. 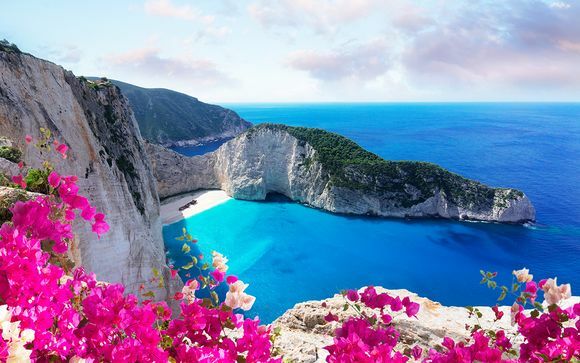 What is the weather in Ionian Islands? October to March on the Ionian Islands can see quite a lot of rain and the sun comes out on alternate days. The summer months are nearly always dry. On the southern islands, Cephalonia and Zante, summers last a little bit longer and are great for a holiday in late September. What budget to plan ? While the many beaches on offer are free to visit if your holiday will include monuments and day trips you will need to budget £75-100 per day. A meal in a restaurant will cost you around £15, street food cost around £5. The average pint of beer will cost a little more than £4. Tipping is never compulsory, however, if you are happy with your meal and the service, it is customary to tip 10%. During Christmas and Holy Week restaurants are required to add extra to their bill for the wait staff.